before seeing the doc, I had slowly begun to transition away from that kind of mentality. I still buy occasionally from fast fashion stores, mainly old navy & zara for various reasons, but I try to buy less & less often. watching this doc has made me pay even more attention to what clothing I buy & how often & for what purpose. very few of us, myself included, are in a place where we can buy everything fair trade and/or organic. but I’ve found that big changes start with little tweaks here & there. I’m starting with what I choose to purchase for the upcoming season, and I hope to build on that little by little. 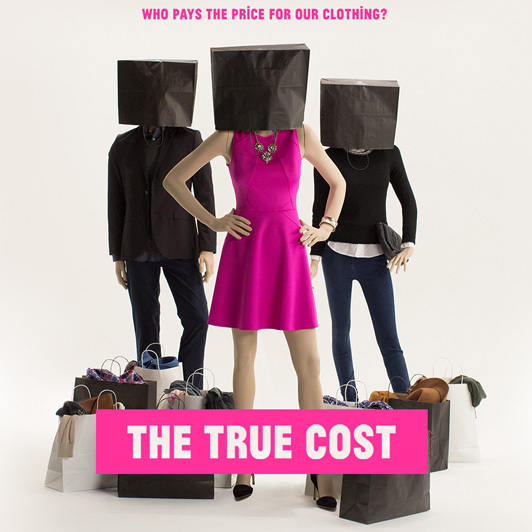 if you haven’t seen the true cost, I think it’s a must see. if you’ve seen it already, what did you think? food for thought is a series on short & lovely that highlights more serious-leaning topics & issues with the intent of fostering honest & respectful discussion.